What will Natalie do when she's confronted by Victor? 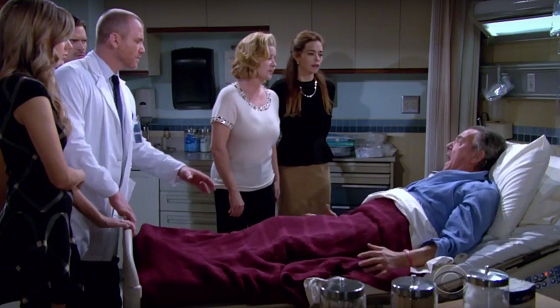 Check out the day-to-day spoilers and a sneak peek video below to find out what's happening on CBS soap opera The Young and the Restless during the week of February 29-March 4, 2016. When Victor finally goes down, will his family members' lives change for better or for worse? Jack (Peter Bergman) and Billy (Jason Thompson) talk about Marco, and Phyllis (Gina Tognoni); Phyllis wants Summer (Hunter King) to keep it secret that she's been helping Billy; Chelsea (Melissa Claire Egan) fears losing Adam (Justin Hartley); Victor (Eric Braeden) asks Natalie (Mara McCaffray) about the camera in his office. Victor runs out of luck; Sharon (Sharon Case) and Dylan (Steve Burton) clash over Noah (Robert Adamson); Nikki (Melody Thomas Scott) makes a difficult decision. Devon Martinez debuts as Shawn Taylor. "You're traitors, all of you!" Victor screams at his family. Victor stands on his own. Ashley (Eileen Davidson) covers her tracks; Kevin (Greg Rikaart) takes a stand against Luca (Miles Gaston Villanueva); Billy is in trouble with Victoria (Amelia Heinle). Phyllis finds a new ally in her vendetta against Victor; Hilary (Mishael Morgan) makes a move; Stitch (Sean Carrigan) gets in trouble.